The Turkey Vulture is one of the few birds able to use its sense of smell to locate food. Turkey Vultures don't have a voicebox. They can't sing or call. Their vocalizations are limited to hisses and grunts. Though they look awkward and ungainly on the ground and must work hard to gain flight, they are graceful and elegant in the air, soaring in beautiful teetering flights across the sky. They rarely need to flap their wings. 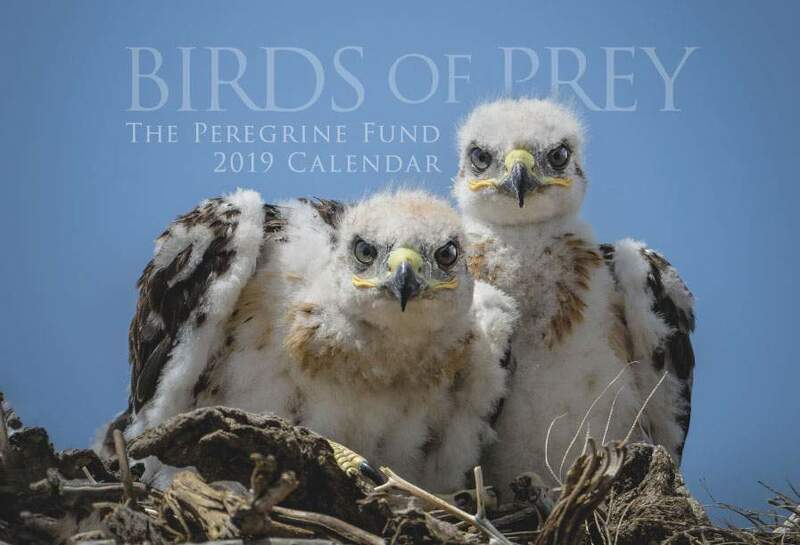 The Peregrine Fund has been working with Old World vultures (vultures found outside of the Americas, such as in Africa and Asia) for decades, studying their populations and learning how to conserve many species that were or are currently facing extinction. This information and our efforts in education will help all vulture species worldwide. To help promote the importance of vultures, The Peregrine Fund celebrates International Vulture Awareness Day, held in September each year. On that day, visitors to our World Center for Birds of Prey in Boise, Idaho, participate in special activities, hear talks, watch films, and enjoy live bird presentations featuring one of our education birds, Lucy, a Turkey Vulture. Turkey Vultures are the most most widespread of all the New World Vultures. They range across most of the Americas from southern Canada, through most of the continental United States, into Mexico, Central America and most of South America all the way south to Tierra del Fuego at the tip of Argentina. 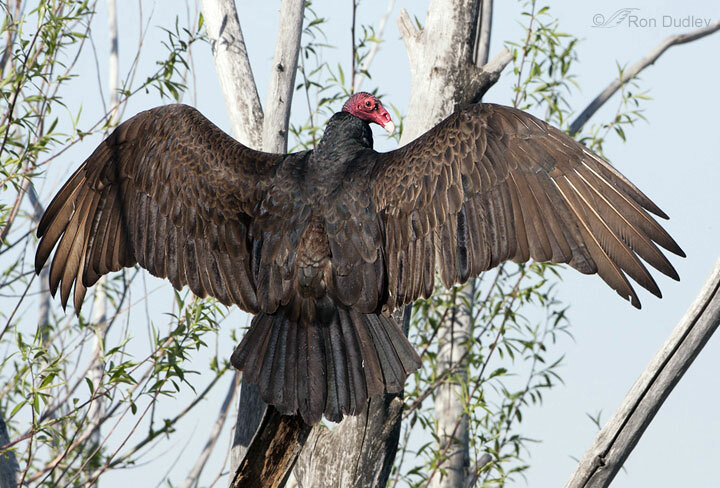 Northern populations of Turkey Vultures are migratory and will travel south to spend winters in Mexico, Central America, and coastal regions of the United States. During migration season, if you are in the right spot, it is possible to see waves upon waves of thousands of Turkey Vultures, along with other species of vultures and other species of raptors, as they float across the sky toward warmer climates. Turkey Vultures are adapted to living in a wide range of habitats and can be found just about anywhere. 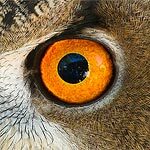 You may spot one soaring over deserts and grasslands in search of prey, roosting in trees in forested areas, feeding on dead fish alongside marshes or coastlines, perching on fence posts in agricultural fields, or even scavenging around garbage dumps and landfills. They spend a lot of time soaring and can travel great distances in relatively short periods of time. 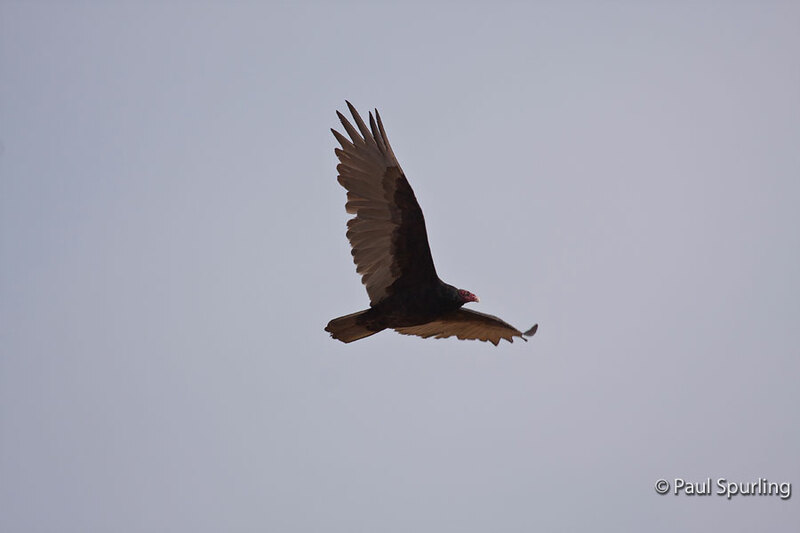 Once a Turkey Vulture is up and soaring, it is almost unmistakable due to its distinctive flight pattern. These birds are easy to identify as they teeter gently from side to side with their wings held open in a slight "V" shape. Like the California Condor, Turkey Vultures have featherless heads. When feeding, vultures sometimes need to stick their heads deep into the cavities of dead animals to get to the juiciest bits! At times like these, a bald head is very useful – otherwise bits of flesh, blood, or other fluids might get stuck on their feathers, creating quite a mess. Though vultures spend a lot of time preening, or cleaning their feathers, it would be impossible for them to clean their own heads. A Turkey Vulture's bald head also makes it easy for us to identify. a bright red head and pale beak are distinguishing characteristics of this species. In addition to their bald heads, Turkey Vultures have other unique adaptations. To keep cool, Turkey Vultures will sometimes pee on their own legs! This is called "urohydrosis" and they do it for two reasons. First, because Turkey Vultures don't sweat like we do, they need a way to cool off in hot weather. When the urine evaporates from their legs, it has a cooling effect. Second, their urine contains properties that might help kill any bacteria on their legs and feet that they may have picked up when walking all over their dinner. Though it might seem gross to us, it actually helps keep the vultures clean. Though Turkey Vultures have a lot in common with other New World Vultures (vultures found in the Americas), they do have a very unique characteristic that is all their own. They have an amazing sense of smell, which they use to detect dead animals, sometimes from quite far away. Look at a Turkey Vulture's nostrils, or nares, and you will notice that their nasal passage is completely open on each end. 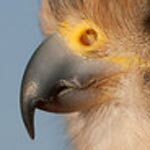 This is a characteristic New World vultures share, which other raptors don't have. Like so many other wildlife species, Turkey Vultures were negatively affected by the use of of the pesticide DDT in the 1950s and 1960s in North America. Use of the chemical was banned in 1972. Today, the population is stable and even increasing. They are common and widespread in the Americas and evidence suggests that they are expanding their range northward. This could be because of climate change, or because they are able to survive in human-altered landscapes, which now may provide them with more food sources than were present historically. 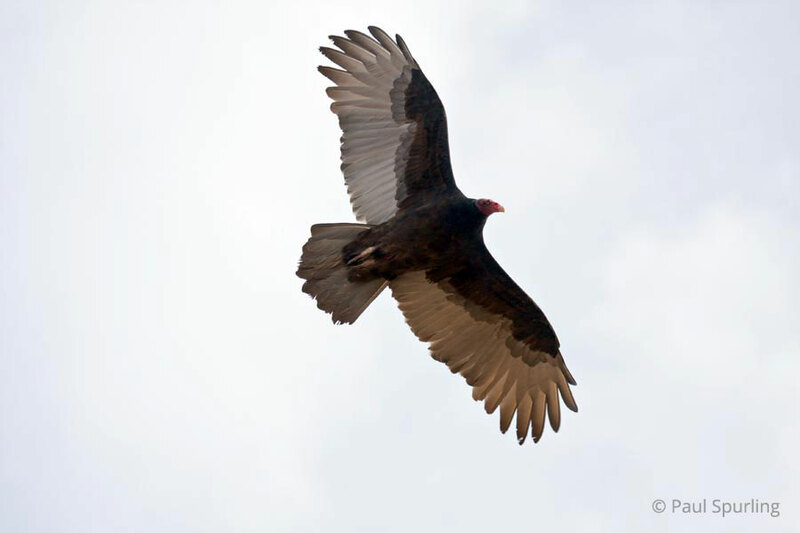 Turkey Vultures play an important role in the health of our ecosystems. As nature’s clean-up crews, they help eliminate rotting carcasses, which helps control the spread of certain diseases and generally helps the air smell a lot better! Turkey Vultures are almost entirely carrion eaters, which means they feed on animals that are already dead. They have been documented killing very weak or very sick animals, but this is rare. They are not a threat to livestock or pets. Though the vultures prefer to feed on medium to large animals, such as deer or sheep, they can be found in roads feeding on road-killed animals as small as squirrels and lizards. When searching for a meal, they often fly low over an area, using their sight and acute sense of smell to find food. Vultures are social feeders, which means many vulture species might join together to feed on a large carcass. Other scavenger birds, such as eagles and ravens, might join the feast as well. Turkey Vultures nest in small caves, on the ground under bushes, in hollowed stumps and logs, and even in abandoned barns. They don't build traditional nests; instead they scrape the ground to make slight depressions in which to lay their eggs. Turkey Vulture eggs are white with red-brown spots. The female usually lays up to 3 at time and will incubate them for 38-41 days. After the chicks hatch, the adults must feed their young often to make sure they grow into healthy birds. But, they don’t bring prey back to the nest in their talons like many other birds of prey do. Instead, they feed their young regurgitated food from their own digestive system. When the young hatch, they have dark grey heads but are otherwise covered in snowy white down feathers. Little by little, their dark feathers will start to grow in. By the time they are about 1 year old, they will exhibit their distinguishing bright red heads. The young vultures fledge about 10-11 weeks after hatching. 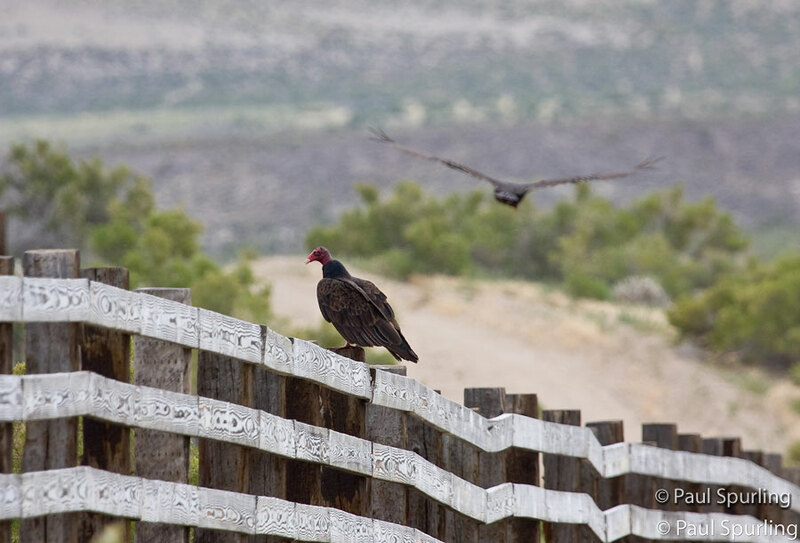 Summer is the best time of year to see Turkey Vultures in Idaho. These large birds are one of the easiest to spot and to identify. You can see them soaring the open skies above the Snake River Birds of Prey National Conservation Area, located a short drive from The Peregrine Fund's World Center for Birds of Prey. When visiting our interpretive center, there is a good chance you can see these lovely birds flying overhead. 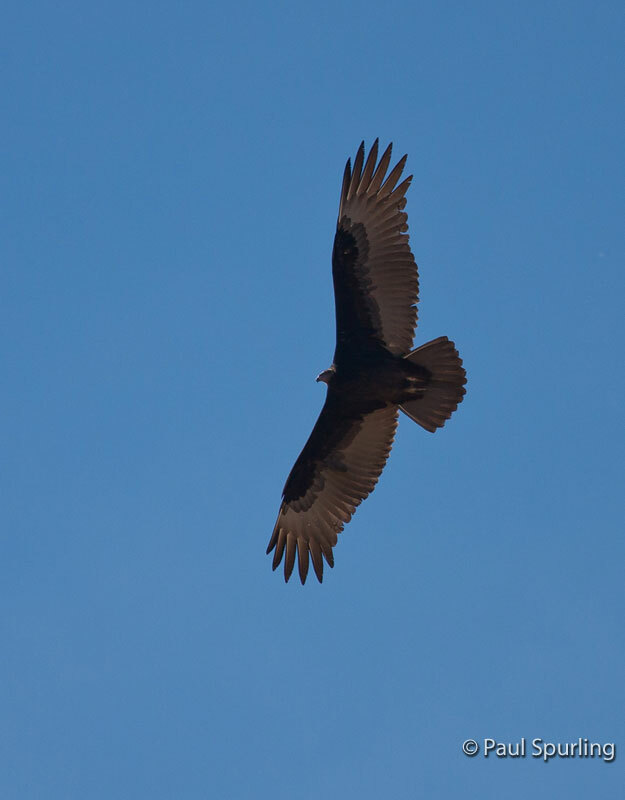 If you walk along our interpretive trail to the overlook, watch for Turkey Vultures and other raptors soaring over the grasslands. At the World Center for Birds of Prey, you will meet one of our best raptor ambassadors, Lucy, the friendly Turkey Vulture. You can visit her outside her chamber or watch her fly during our bird presentations. This is a wonderful chance to see a Turkey Vulture up close and learn to appreciate their unique beauty and amazing adaptations for survival.